Cheri over at Kitchen Simplicity asked me to do a guest post for her, and since I love her site I couldn’t say no. I mean, have you seen her photography? Gorgeous! And she features exactly the kind of recipes I like to eat – simple and delicious. 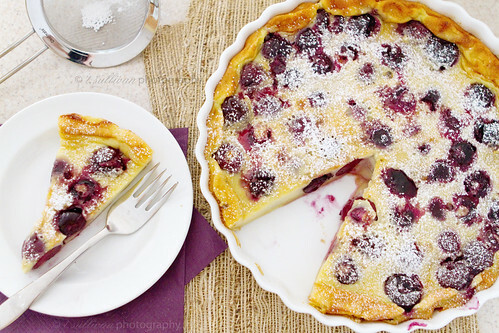 Check out my guest post on Kitchen Simplicity this week, where I confess my annual summer obsession with cherries and share my first clafouti recipe – Cherry Vanilla Bean Clafouti made with a real vanilla bean and fresh cherries. And while you’re there, take a look around at Cheri’s recipes and fantastic photography too! This looks incredible…I can’t wait to try out the recipe!